The Great Exmoor Ride is a brand new city-to-coast challenge bike ride from the team behind the hugely-popular Great Weston Ride (GWR), and the inaugural outing is taking place in the West Country this Summer. Billed as the GWR’s ‘baby brother’, the Great Exmoor Ride starts in Taunton and ends on the seafront at Blue Anchor near Minehead, but only after it has covered 63 miles (100km) of a stunning route through tranquil Somerset country lanes and onto and across the eastern part of Exmoor National Park. The Ride is taking place on Sunday 3rd September 2017 and participants are promised another great day to remember, courtesy of a spectacular route AND the prospect of a late Summer day out by the sea with friends and family at the end of it all. And, while the Great Exmoor Ride may be the GWR’s baby brother in terms of its age, it is worth noting that it is every bit as challenging as an event – and probably even more so, with the 63-mile route packing almost 1600 metres of climbing. A spokesman for the Great Exmoor Ride commented: “The aim with the Great Exmoor Ride is to replicate the challenge and enjoyment of the GWR in another wonderful part of Somerset and, while this new event is most definitely a decent cycling challenge, it’s been designed to still be accessible and to appeal to as many people as possible”. 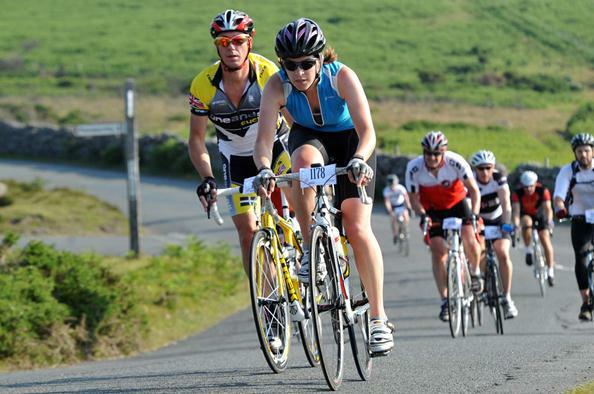 “We want to see lots of people out on their bikes and rising to their own personal challenge on the Great Exmoor Ride. It’s a truly spectacular route and there’s certainly enough of a challenge on offer, and like the GWR it’s something that most people with a degree of fitness and the right mindset should be able to tackle – we want to see all sorts of people taking part, it’s very much intended as a social and community occasion so people are actively encouraged just to do it at their own pace with no time pressures, and we’re certain that riders who take the challenge will feel a huge sense of achievement when they reach the coast and cross the finish line”. “And of course with the long-established Great Weston Ride in July and the new Great Exmoor Ride in September it’s a fantastic opportunity for people to bookend their Summer with two fabulous West Country bike rides!”. 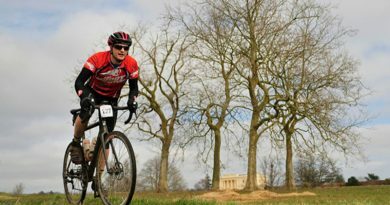 And the event organisers are once again asking riders to consider if they can fundraise while taking on the challenge, with Prostate Cancer UK being the event’s official charity partner. Over £150,000 has already been raised for the charity via the GWR and it is hoped that the Great Exmoor Ride can emulate that success over time.